Nanolash eyelash serum – effects visible to the naked eye! Nowadays, BB creams are the most popular beauty products in the cosmetic department. There are no women who did not try it out at least once. In a short period of time, drugstore bookshelves started filling up with the following alphabet letters: CC and DD creams…What are they, what is the difference between them? BB – Blemish Balm. It is the oldest of the well-known beautifying products. Its formula was developed in the 60’s of the twentieth century. The product started its career as a specialized product that aimed to soothe skin irritations and support processes of healing – especially after plastic surgeries. The product perfectly camouflages redness and hides imperfections. BB cream is valued mainly for evening out the skin tone. CC – colour control cream or colour correcting cream. It works a bit differently than its softer version – BB. CC cream combines the moisturising properties of a face cream, a foundation and a concealer of high coverage. 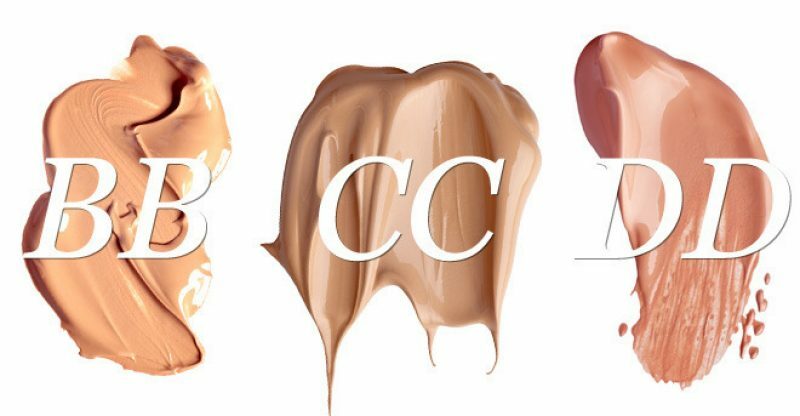 The main task of CC cream is to hide imperfections. Such product perfectly mattifies and covers up any skin changes: acne, scars, redness and broken capillaries. CC also protects the skin from damaging effects of UV radiation. In comparison to Blemish Balm, it provides higher coverage level, while having a lighter formula than heavy foundations. DD – or Dynamic For All. DD cream provides an extra weapon to fight for beautiful skin: it has anti-wrinkle properties. The cosmetic has high coverage, it conceals imperfections, provides a fresh look and additionally, reduces fine lines. It allows mature skin to regain youthful appearance. The first cream DD has been launched by a brand called Julep. According to the producer, the cream has to “do it all” – to nurture, moisturise, nourish, correct, mask and rejuvenate the skin. If it will actually work, it is likely to become a cosmetic genius… and this is what we all wish for.